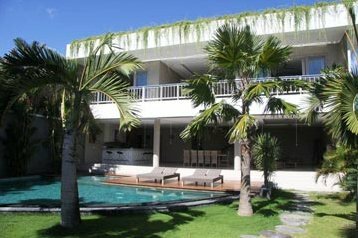 Sumptuous modern style villa of 4 bedrooms for sale in Canggu! 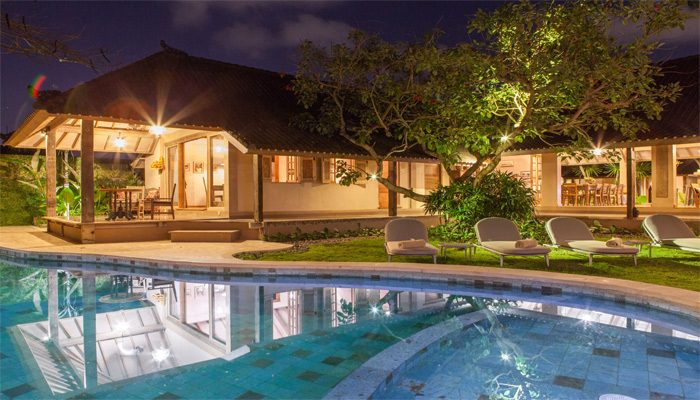 Located in the quiet Balinese village area, this villa is only less than 5 minutes drive from Pererenan beach. 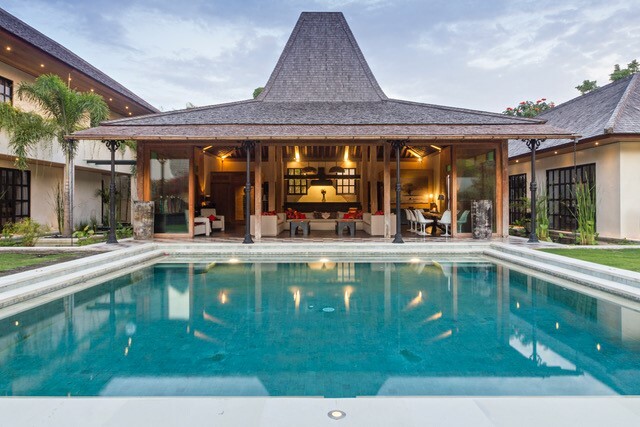 Built on 1200 square meters of land, this property possesses the most stunning 25 meter long swimming pool giving to the jungle view. The entrance alley leads to the parking area, which is partly covered to allow protection from rain and sun, connecting directly to the villa main entrance. From the parking area can also be accessed a service compound, composed by a laundry room, a staff toilet, a utility room and a storage. At the villa ground level are located the living and dining room space with open kitchen and guest toilet, and a multimedia room. The spaces are enclosed by aluminum sliding doors and equipped with air conditioning system. All the bedrooms are located on the second floor. A spacious master bedroom with walk-in wardrobe & three guest bedrooms, all with the en suite bathrooms featured. A mezzanine open floor is at your disposal as well, which can function as a terrace to enjoy the sunset or converted to an office or a gym.